ViewSonic recommends 2 projectors with outstanding image quality and full features: PJD7820HD and Pro8520HD, to make the football matches come alive. The two projectors all comes with BrilliantColor™ technology featuring multi-color processing to produce stunning, vibrant colors. 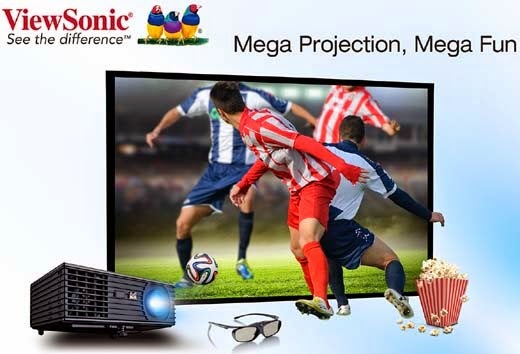 ViewSonic projectors will bring you the ultimate visual experience to watch FIFA on a big screen. ViewSonic introduces PJD7820HD and Pro8520HD projectors that bring exceptional details and outstanding color saturation for incredible pixel-by-pixel performance and superior image quality on a big screen. The high lumens and contrast ratio of our projectors will enable you watch every move in details like you were there at the stadium. 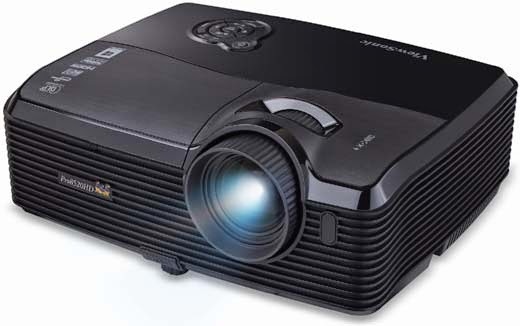 The ViewSonic PJD7820HD is the best in class price-performance Full HD 1080p DLP projector with 3,000 ANSI lumens and 15,000:1 contrast ratio (w/DynamicECO™). With the latest HDMI, the PJD7820HD can now display 3D images from 3D Blu-ray players. The new advanced lamp technology from ViewSonic extends the lamp life up to 8,000 hours. Its filter-less design eliminates filter cleaning or filters replacement and provides virtually zero maintenance. The ViewSonic PJD7820HD projector with BrilliantColor technology features multi-color processing to produce stunning, vibrant colors. 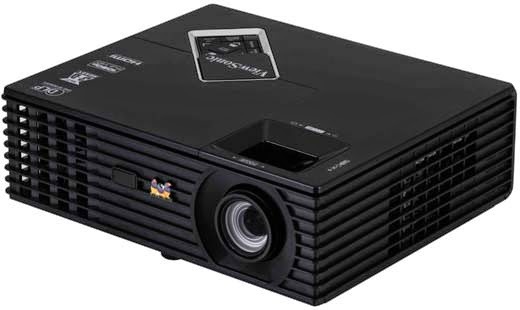 Built on DLP technology, ViewSonic’s PJD7820HD projector virtually eliminates image degradation known as color decay – a yellow/faded tint that LCD projectors may develop after extended use. The ViewSonic Pro8520HD is a 5000 ANSI lumens high brightness, Full HD, and 15000:1 contrast ratio (w/DynamicECO™) projector ideal for use in any large venue even with high ambient light. Built with BrilliantColor technology, this projector produces vibrant colors, while its 1.5x optical zoom offers more than twice the mounting flexibility over a standard 1.2x optical zoom. Equipped with dual HDMI inputs, it's perfect for connecting to any HDMI-enabled devices.